Learn English Online - Phrasal Verbs with Work to improve English Fluency. Welcome to Let’s Talk English Speaking Institute, your ultimate destination to learn English for free online. In This Spoken English lesson you will learn 6 Phrasal verbs with the word ‘Work’ to improve your English fluency. It’s important to learn English phrasal verbs if you’re you want to speak fluent English faster. Phrasal verbs are short English phrases (a combination of a verb + preposition) which come handy in English conversation. If your practice more than 1000 English phrasal verbs you would certainly speak English like native speakers. All of us use phrasal verbs a lot, in our daily conversation, but do we know what they really are? Well, they are phrases made up of two or three words that consist of verbs and one or more preposition. When these words are joined, they create a different meaning altogether. These phrasal verbs are important in English usage because they help us sound more natural and increase our fluency and that is one of the main goals to achieve, if you are an English language learner. Today, we will look at some phrasal verbs with the word, work. First, is to engage in any form of exercise or any form of physical activity. I work out every day because it keeps me positive. Second, is when something ends successfully or to result in success. My new business is working out really well. Third, is when you try to fix something or when you try to find a solution to something? We are trying to work out a permanent fix for this issue. It means to develop a particular feeling or evoke an emotional state. I lost my daughter in the mall for a few minutes and got all worked up till I found her. I am working on my public speaking skills. -To work around and find success. I’m sure we can work around this employee dissatisfaction issue. He is working towards his financial growth. We can work in a few more options into this business model. So there you go, these are a few of the phrasal verbs that you can easily use and improve your fluency in English. We hope that the lesson is beneficial and works for you. Hi friends, I am Niharika and welcome back to a new lesson. In today’s lesson, we are going to explore six phrasal verbs with the word work. 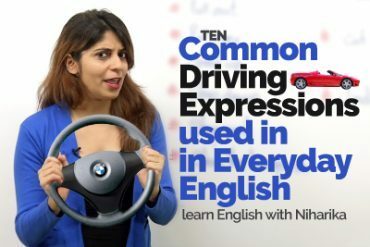 How to use them correctly in English and what exactly do they mean? Well, that’s what we are gonna understand.so the first phrasal verb that I have for you is to work out. Now, this phrasal verb can be used in three different ways.so the first meaning of this phrasal verb or the way you can use it in English is to engage in any form of exercise or any form of physical activity. Well, yes to stay fit, we do exercise, right? So there are different ways of work outs. You go for a run, you go ride your bike or you do yoga or you just work out a gym. So yes these are the different ways to work out. So when you engage yourself in any form of exercise that is when you work out. So how do you use this phrasal verb in a sentence? Well, you can say that I work out three times a week at the gym. Yes, another way is thirty minutes of yoga is an amazing workout. Well, really, it is. If you work out thirty minutes every day, trust me you are gonna be so fit and healthy, right? Another way of using this phrasal verb is when something ends successfully or to result in success. For example, when I started this job, I was really nervous and confused and I thought that this would not really work out for me but then guess what, few years down the line, I am so happy and things have really worked out very well. Yes, they have. 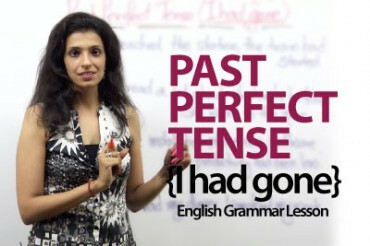 so that’s how you can use the phrasal verb, workout when something ends nicely or when the result is always in success. Okay and then the third way of using this phrasal verb is when you try to fix something or when you try to find a solution to something. For example, well my friend’s relationship is not really working out well and guess what, she’s getting married like in three months. So it’s time for them to fix to find a solution to this relationship, right? Or else they’re going to ruin their lives. So how do you use this phrasal verb? You can say that my friend is trying to work out her relationship with her boyfriend. Okay so when you try to fix something or when you try to find a solution to something, that is when you can use the phrasal verb work out, okay. Now let’s move on to another phrasal verb which is work up. When do you use this? Well, when you develop a particular feeling or when you evoke an emotional state. You know at times, you are so stressed or you feel so anxious about certain things. Yes, that is when people advise you by saying that hey, you need to calm down. You need to relax, don’t get so worked up. It means that they are asking you to be calm. So when you develop a certain feeling, a particular feeling, that is when you use the phrasal verb, work up. Okay, so again, for example, I was stuck in traffic and that was just so annoying. I was so worked up because I had to get come. Okay, that’s how you will use it. Another phrasal verb that I have for you is to work on. Now when you put in some time and you spend time and you put in efforts to improve on something, that is when you use the phrasal verb, work on. For example, my English pronunciation is really bad but trust me, I am trying to work on it.so which means, I am spending time, I am putting in efforts to work on my English pronunciation.so when you put efforts to improve that is when you use the phrasal verb, work on. Yes, I am working on this, okay. Look I have gained so much of weight. Well, I am trying to work on my diet. So which means, I am putting some efforts so that I can lose weight, okay. The next phrasal verb that I have for you is to work around. Now at times, we face a lot of issues with people, with particular things, with some situations. Yes, they just drive us crazy but then it’s important to solve these situations. You need to find a solution to it.so you need to work around your way. Now it’s not important for you to deal with it directly but you can try doing certain things, which means you can work around and find success. For example, at work, you are facing a lot of issues with your clients. Okay, now you don’t directly deal with them. Okay you do not go argue or you do not get into a fight with your clients but you try to put in efforts and you try to work your way around and solve the issue.so when you are trying to solve something successfully, that is when you use the phrasal verb, to work around. Okay, so when you try to work your way around to find success or to solve something that is when you use this phrasal verb. The next one that I have for you is work towards. How do you use this phrasal verb in English? Well, this is very commonly used for someone whom we are trying to motivate or encourage. Yes, now you do not attain your goals easily. You need to work towards it. Again you need to put in a lot of hard work. You need to put in lot of efforts and time to achieve your goals, to attain success.so that is when, you use the phrasal verb, to work towards.so for example, well you are trying to explain to a child, you are trying to motivate him.so you can say, honey, you need to work towards attaining success.so which means, you need to put in efforts. You need to put in a lot of hard work to achieve your goal. Alright and then moving on to the last phrasal verb that I have for you is work in. now when do you use this? Well, the meaning of this phrasal verb is when you are trying to add something or add another idea to something, is when you work in. so for example, I am cooking pasta and then when I taste it, something is missing. So I offer this pasta to be tasted to my neighbour. So my neighbour tastes it and she feels that Niharika, something is missing.so what you can do is, you can work in some garlic and then trust me, this would taste absolutely delicious. So here I mean to say that if you add something to another, then things are better. So yes that is when you work in. For example, you’re at work and you’re trying to finish a project but something is not right. There’s something missing that would not impress your boss. So you work in again. Okay so you add something more to this project, that would impress your boss immediately, okay. So to add an idea is to work in. Okay, so these are the six phrasal verbs that you can use in your daily conversation. Use them because they’re really simple and I will be back with a new lesson soon, till then, you take care. Previous Previous post: 06 Simple Steps to look Fresh & Presentable 24/7. Next Next post: Talking about your HOUSE and It’s STYLE – Learn Interesting English Vocabulary. 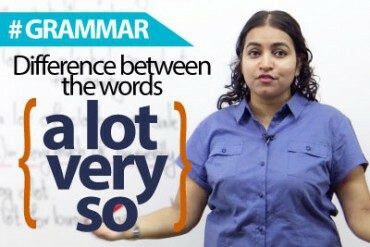 Difference between A lot, Very & So.